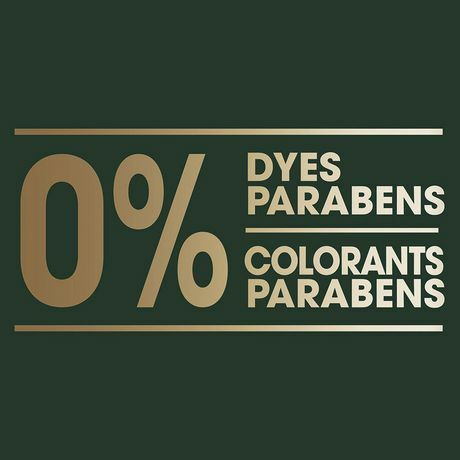 Curly hair is naturally drier than other hair types, so it needs extra hydration to look its best. The TRESemmé® Botanique Curl Hydration System is specially formulated to cleanse, condition and give your curls the extra hydration they need. Curls are left more manageable with a healthy-looking bounce. Start your routine with the TRESemmé® Botanique Curl Hydration Shampoo. 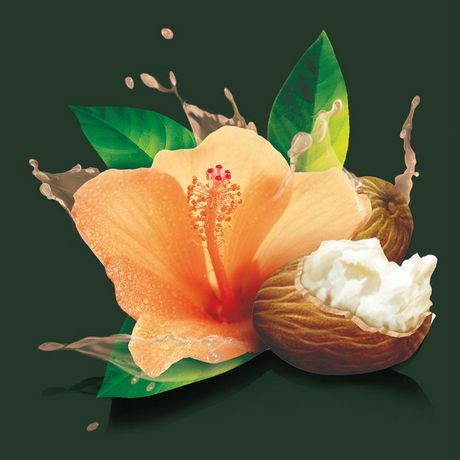 Formulated with a botanical blend of shea butter and hibiscus, the professional-quality formula gently cleanses and rejuvenates your curls in just one use, leaving them easy to manage and with a healthy-looking bounce. Apply TRESemmé® Botanique Curl Hydration Shampoo to wet hair and work in thoroughly, making sure you lather up from the roots right through to the ends. Rinse well, then follow up with the TRESemmé Botanique Curl Hydration Conditioner. Complete your routine with styling products from the Botanique collection. 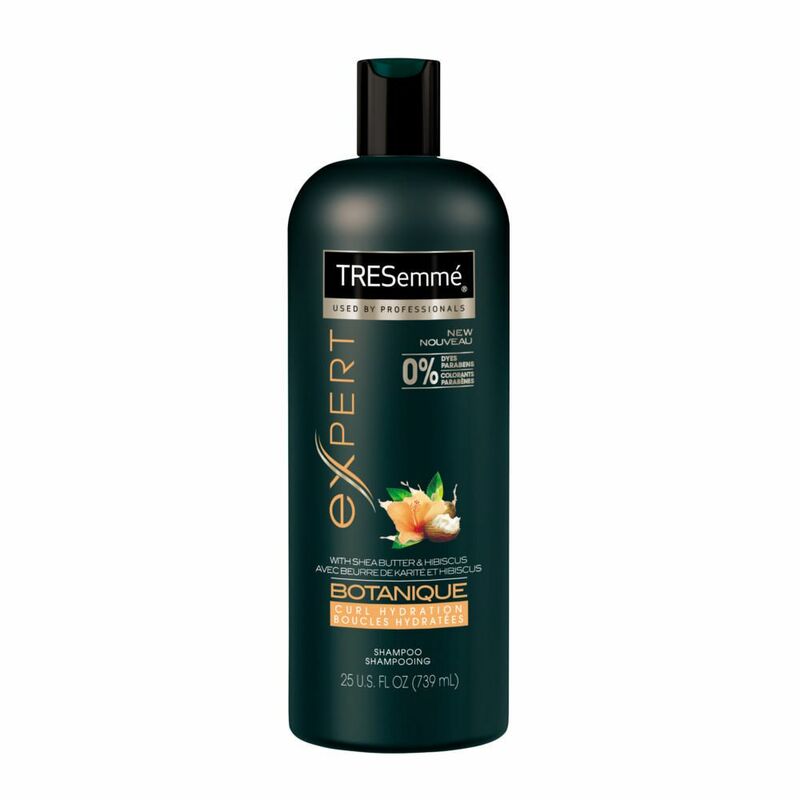 If you think TRESemmé Botanique Curl Hydration Shampoo is the best shampoo for curly hair, don’t keep it a secret. Leave a review and share your tips. 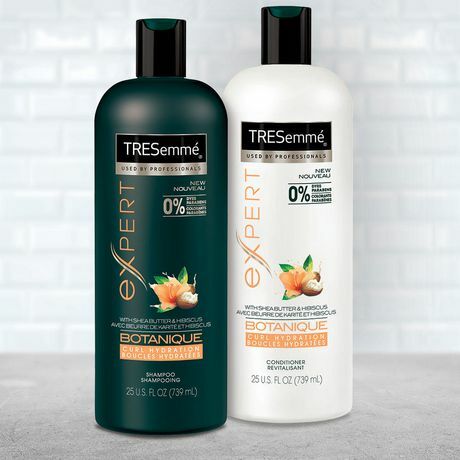 ✔ TRESemmé® Botanique Curl Hydration Shampoo is professionally formulated with a botanical blend of shea butter and hibiscus and gently cleanse curls, The system gives the extra hydration they need and curls are left more manageable with a healthy-looking bounce. 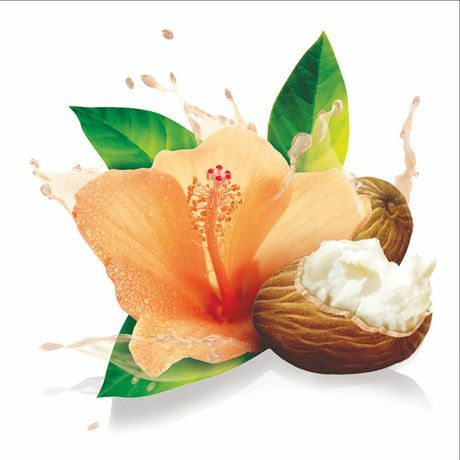 Aqua, Sodium Laureth Sulfate, Cocamidopropyl Betaine, Sodium Chloride, Butyrospermum Parkii (Shea) Butter, Hibiscus Sabdariffa Flower Extract, Glycerin, Parfum, Dimethiconol, Glycol Distearate, Carbomer, Gluconolactone, Guar Hydroxypropyltrimonium Chloride, TEADodecylbenzenesulfonate,Citric Acid, Sodium Sulfate, PPG-9, Trehalose, DMDM Hydantoin, Disodium EDTA, PEG-45M, Cocamide MEA, Sodium Benzoate,Methylchloroisothiazolinone, Methylisothiazolinone.